This finely powdered extract is made using high-level advanced extraction methods. It is a full spectrum extract with high levels of Mitragynine and 7-OH. Over the last few months Shamanic Extracts has been striving to produce a perfect SINGLE Kratom product and now finally we have managed to harvested the fruits of our labor!!! The new Kratom 60 Extract is being manufactured in a special plant extract facility in Europe. This facility specializes in manufacturing extracts from various plants for the use in food supplements and herbal medicines all of which are exported to the USA & Europe. 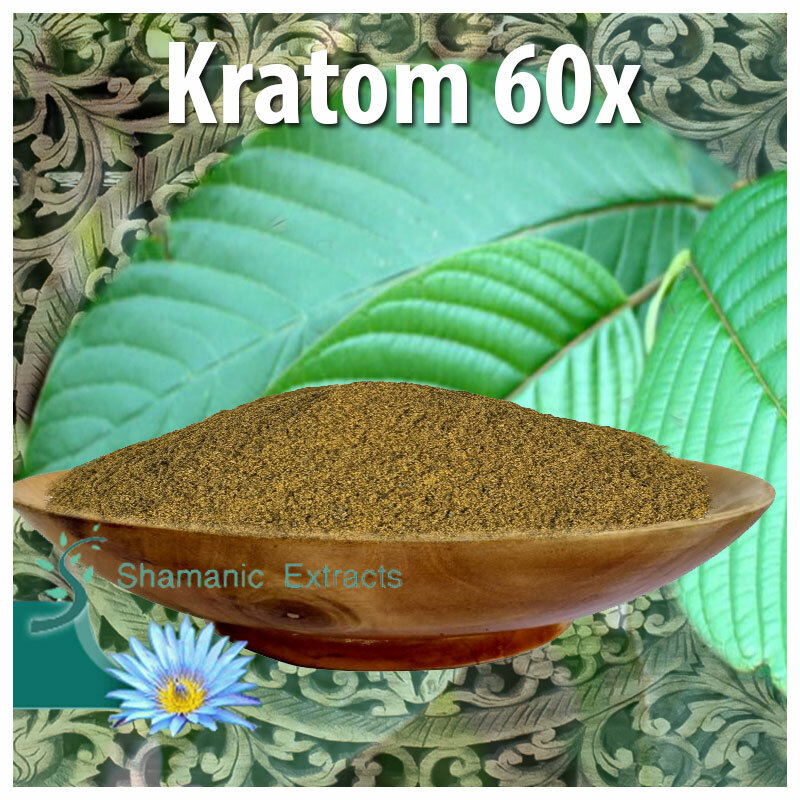 Kratom full spectrum 60 Extract is a dry and very fine powder almost as fine as talc powder. Basically this is about as good as it gets and can be very easily mixed into any drink or capsule. It is active at only about ½ gm with 1 to 2 gm (estimate based on personal use) being a nice therapeutical dose. Share your experience about KRATOM FULL SPECTRUM 60X EXTRACT with other customers. Submit your tips or thought on this product, be detailed and specific.